In recent years, media scholars have taken an increased interest in the material base of our telecommunications systems—the electrical grids, fiber-optic cables, and cellular towers that enable the seamless refreshing of a Twitter feed, for example. This concern with infrastructure, which is commonly understood as that which fades into the background and remains invisible until it malfunctions, has led to meaningful exchanges across disciplinary boundaries. Within media studies, a closer examination of infrastructure has helped demystify technologies we often mistake for immaterial—“the cloud” does not live in the ether, but in large data centers that require vast amounts of energy to power their servers and maintain a constant temperature. 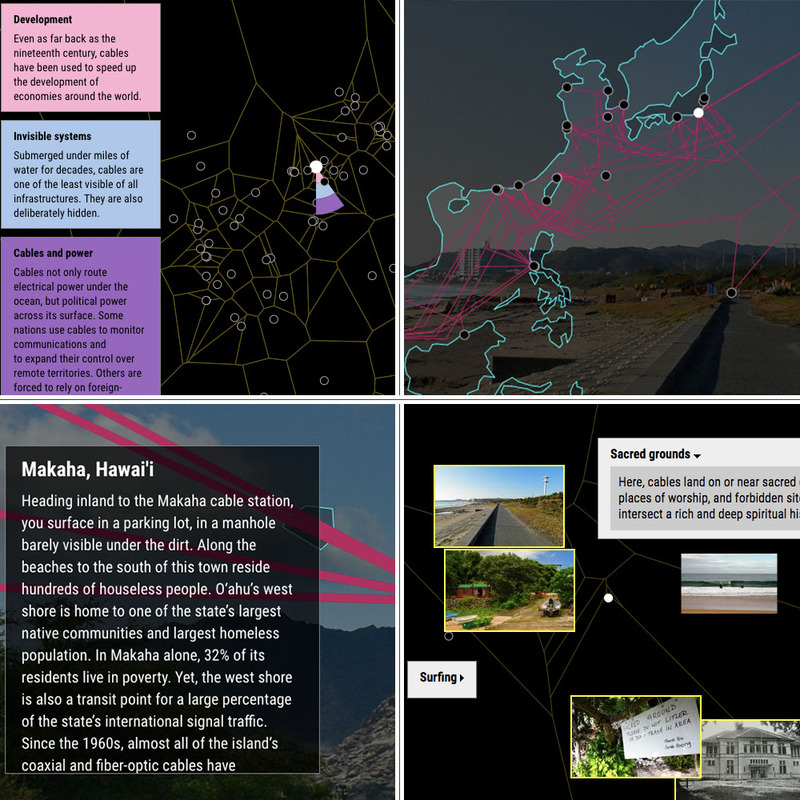 The making visible of previously obscured infrastructure has offered new directions in environmental media studies, leading scholars to ask how media infrastructures shape their local ecologies that include both human and other-than-human participants, and well as how these participants shape media infrastructures in material and discursive ways. This starter kit introduces users to some of the concerns within critical media infrastructure studies, particularly in terms of what Rahul Mukheerjee describes as a mediating infrastructures approach. This kit is designed to provide users with a set of conceptual tools that can be used to analyze new and underexamined infrastructural case studies. These readings provide an introduction to the critical theorization of media infrastructures. Parks, Lisa, and Nicole Starosielski. “Introduction.” In Signal Traffic: Critical Studies of Media Infrastructures, edited by Lisa Parks and Nicole Starosielski, 1st edition. Urbana: University of Illinois Press, 2015. Lisa Parks. “Stuff You Can Kick: Toward a Theory of Media Infrastructures.” In Between Humanities and the Digital, edited by Patrik Svensson and David Theo Goldberg, 355–73. MIT Press, 2015. Rahul Mukherjee. “Mediating Infrastructures: (Im)Mobile Toxicity and Cell Antenna Publics.” In Sustainable Media: Critical Approaches to Media and Environment, edited by Nicole Starosielski and Janet Walker, 1 edition. New York: Routledge, 2016. “When an infrastructure or technology turns disruptive, it affects communities, and a wide range of stakeholders gathers around it. The pragmatist philosopher, John Dewey, described how social actors break from the habitual ways of their everyday lives and attempt to forge a public when they find themselves affected by issues or problems beyond their control. . . Hence, with the mediating infrastructure approach, the focus is not only on the infrastructure but also on the mediation of that infrastructure, where mediation is not mere media coverage but a complex sociomaterial process of understanding the infrastructure in its varied relationalities” (108). » Mukherjee identifies three modes of mediating infrastructure: technostruggle, intermediality, and affective resonances. This kit proposes two additional modes—maintenance/care and hacking/piracy. Can we identify more? “Kath Weston uses the term “technostruggle” to characterize this effort of ordinary citizens to use technology as a means of ascertaining environmental and health effects, an effort that falls short of any real certainty as to the outcomes” (103). Kath Weston. Animate Planet: Making Visceral Sense of Living in a High-Tech Ecologically Damaged World. Durham: Duke University Press Books, 2017. Concerned community residents attend a meeting with regulators from Department of Toxic Substances Control (DTSC) regulators. While community members rely on the scientific and technical knowledge of regulators to track and map the toxicity of leaky infrastructure, they simultaneously challenge the expertise of these same regulators when they exercise skepticism about proposed clean up plans. Richard, Chris. “Neighbors Skeptical of L.A. Battery Recycling Plant’s Clean Up Proposal.” KQED, March 25, 2014. https://www.kqed.org/stateofhealth/18309/advocates-skeptical-of-los-angeles-exide-battery-recycling-plants-clean-up-proposal.
. . . “intermediality” brings forth relations that cannot be defined in media as fixed forms” (105). “Although measurement with a Geiger counter or a scintillator is possible, one cannot directly see and taste radioactive material. This additional example of a lack of visibility, made even more obscure by the obfuscations of the media, has increased the fear of radiation exposure” (Ishida 120). Sulaiman, Sahra. 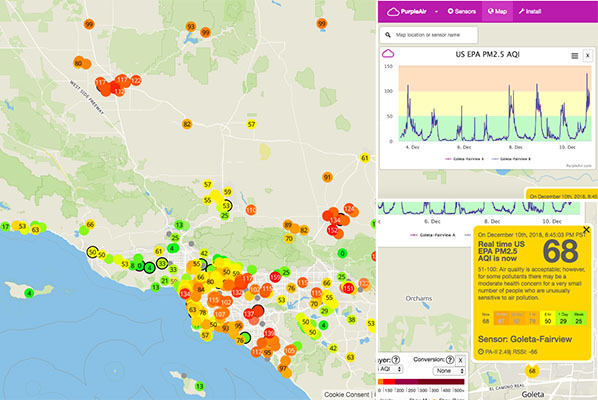 “Cyclists Needed for Project to Monitor Air Quality in Southeast L.A. and on Eastside.” Streetsblog Los Angeles (blog), December 5, 2018. https://la.streetsblog.org/2018/12/04/cyclists-needed-for-project-to-monitor-air-quality-in-southeast-l-a-and-on-eastside/. “Affective resonances provide a generative direction of thinking about the materialities of cell antenna publics as they highlight the experiential aspects of human-technology encounters. Affective intensities can take the form of visceral bodily reactions (in relation) to towers, reactions that cannot be equated to—or appropriated as—individual (or social) consciousness” (108). Lisa Parks. 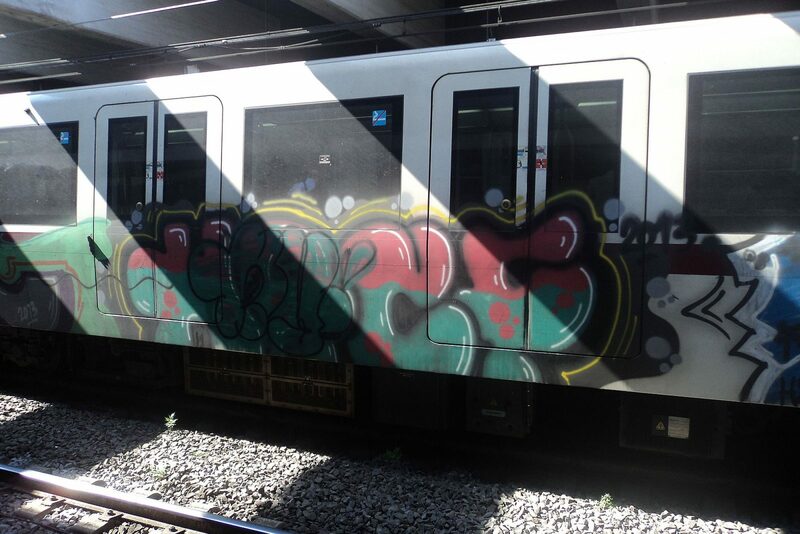 “Media Infrastructures and Affect.” Flow (blog), May 19, 2014. https://www.flowjournal.org/2014/05/media-infrastructures-and-affect/. 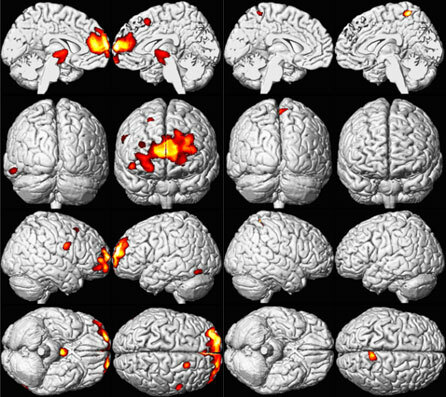 MRI scans of the human brain reveal the lasting, residual impacts of lead toxicity. Shannon Mattern. “Maintenance and Care.” Places Journal, November 20, 2018. https://placesjournal.org/article/maintenance-and-care/. Brooklyn bridge painters working, 1915. Image from Wikimedia. Rogers, Kaleigh. 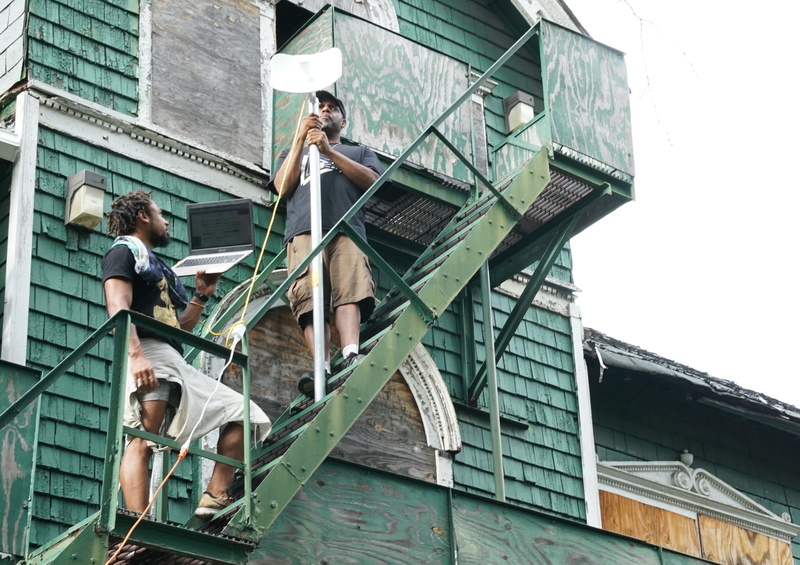 “Ignored By Big Telecom, Detroit’s Marginalized Communities Are Building Their Own Internet.” Motherboard, November 16, 2017. https://motherboard.vice.com/en_us/article/kz3xyz/detroit-mesh-network. More examples of mediating infrastructures. In each case explored below, various modes of mediating infrastructure are underway and on display. Surfacing.in/ is a project by Nicole Starosielski, Erik Loyer, and Shane Brennan, that accompanies Nicole’s book The Undersea Network. 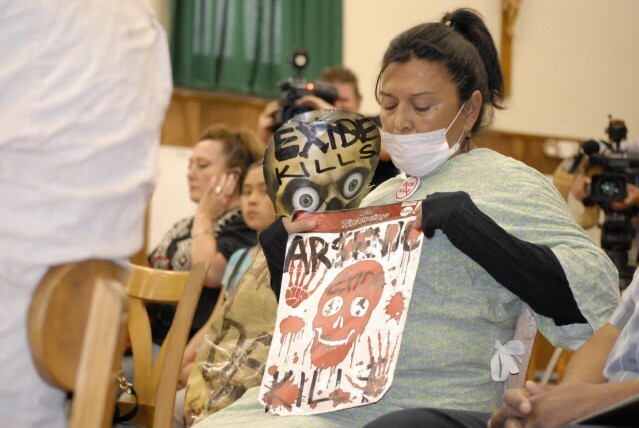 After finally forcing Exide Technologies to shutter its battery recycling plant in Vernon, California, the DTSC began the long process of cleaning up decades worth of lead and arsenic emissions that had settled in the six residential communities bordering Vernon. 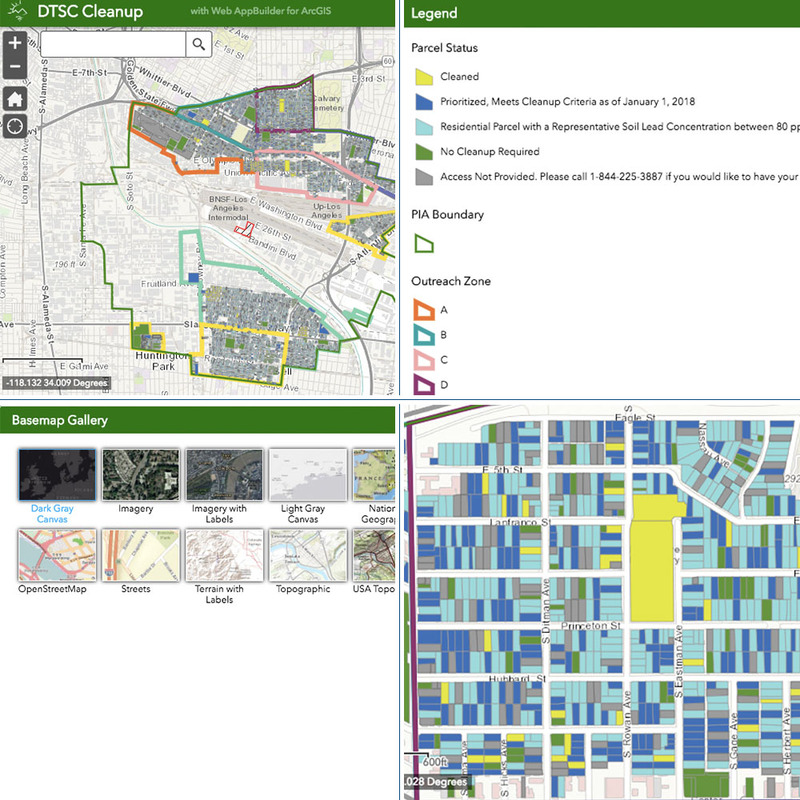 To allow community members to track the soil testing and clean-up process, the DTSC released this interactive map. 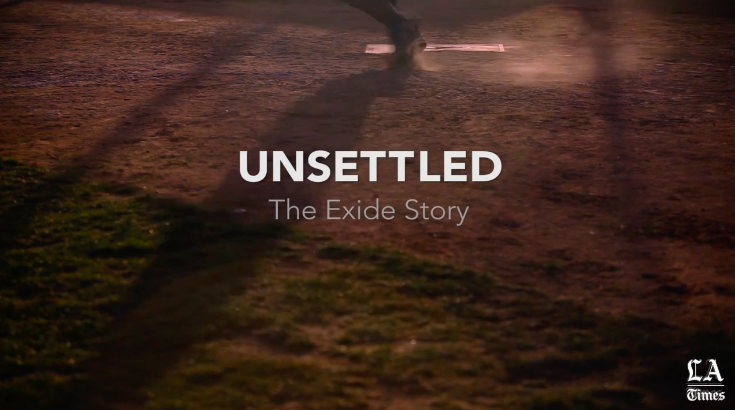 From the LA Times produced documentary, Unsettled: The Exide Story. Volunteers can sign up with the Coalition for Clean Air to receive air quality monitors to install in their homes or businesses. The data collected by these monitors can be accessed through this map.